Construction started at the rear of the house. We’re bumping out 5′ across the entire top floor and 5′ on the left side only on the first floor and basement. 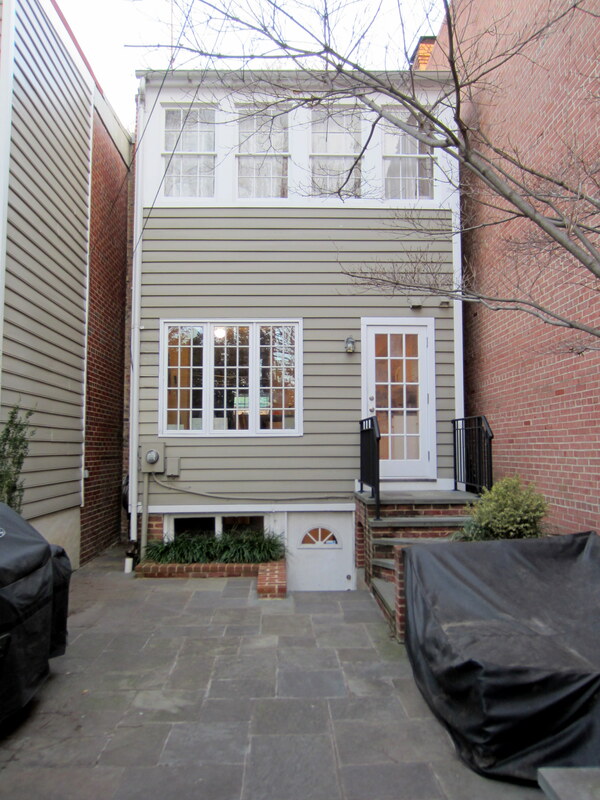 In Old Town, this additional 120 square feet is like getting another floor added to your house . . .
Current rear elevation. 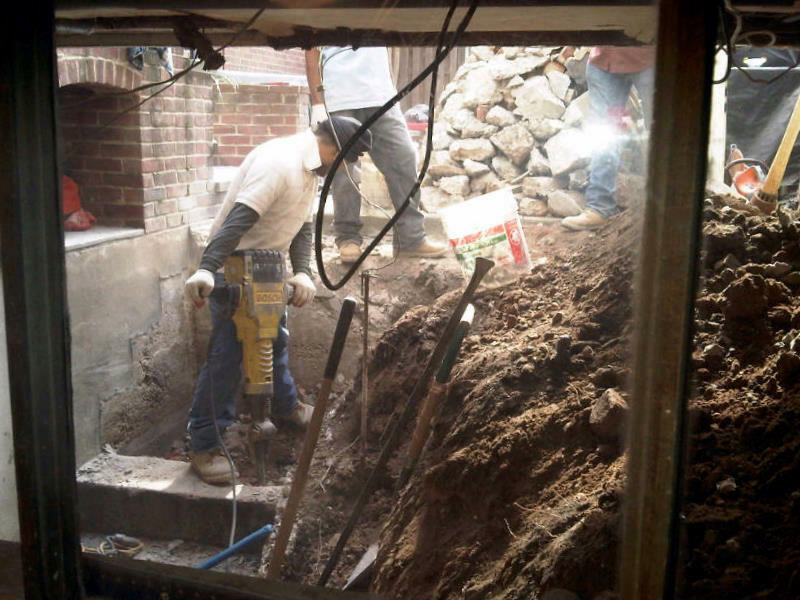 In addition to the bump out, we’ll be building into the small alcove to the left of the house in the picture. 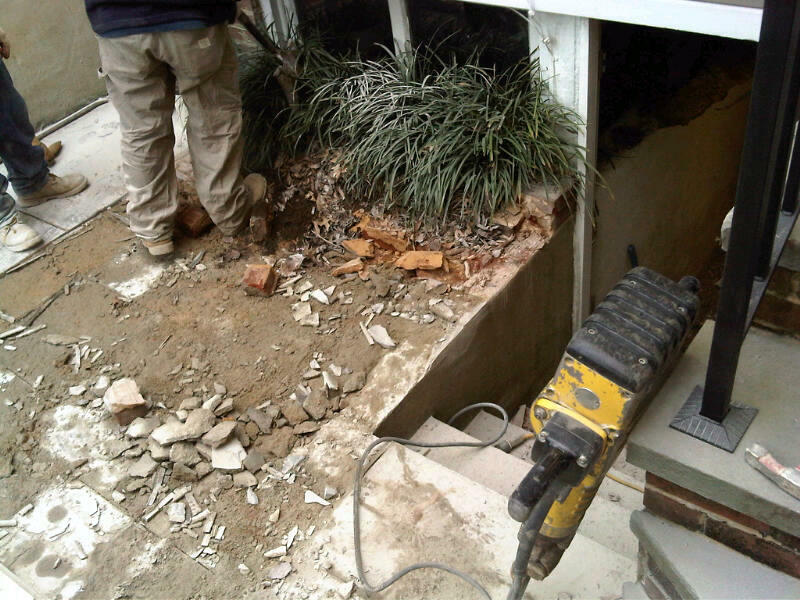 Stairs leading into the basement. One of our friends had a tremendous affection for the rotting back door and pleaded with us to incorporate this architectural element into the new house. After careful consideration, colored by fond memories of the oceans of water that have leaked under this door during storms over the last decade, we reluctantly demurred. 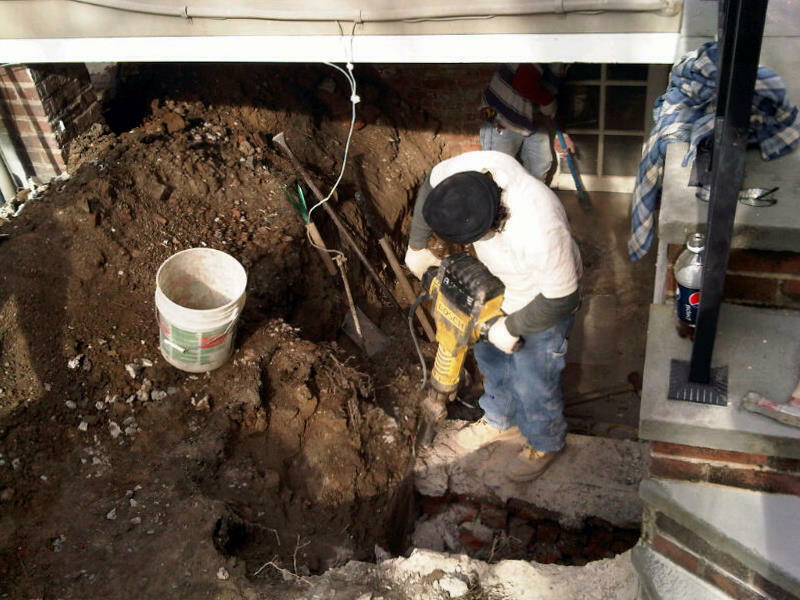 Excavation underway. It’s a yard sale – everything must go. The rubble begins piling up. 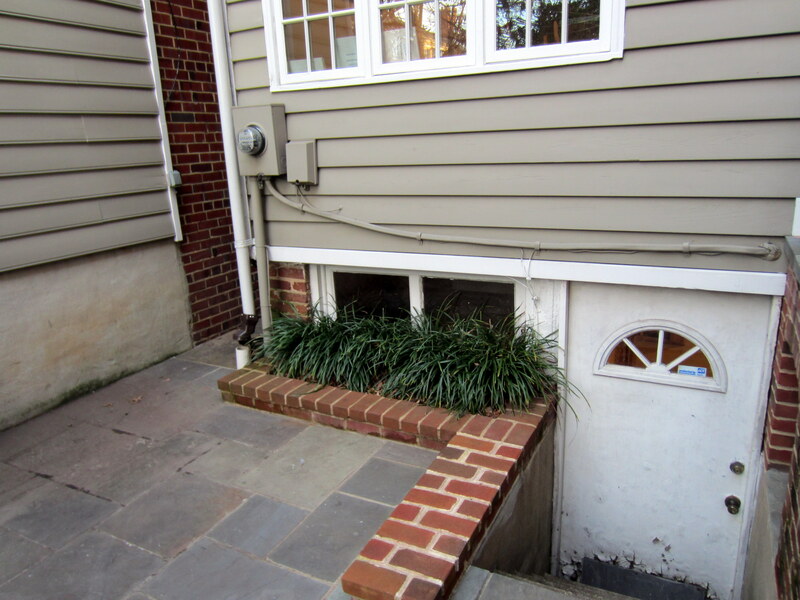 The beloved basement door – Ol’ Rotty – is relegated to fireplace protection . . . Note the brick pier to the left in the picture. 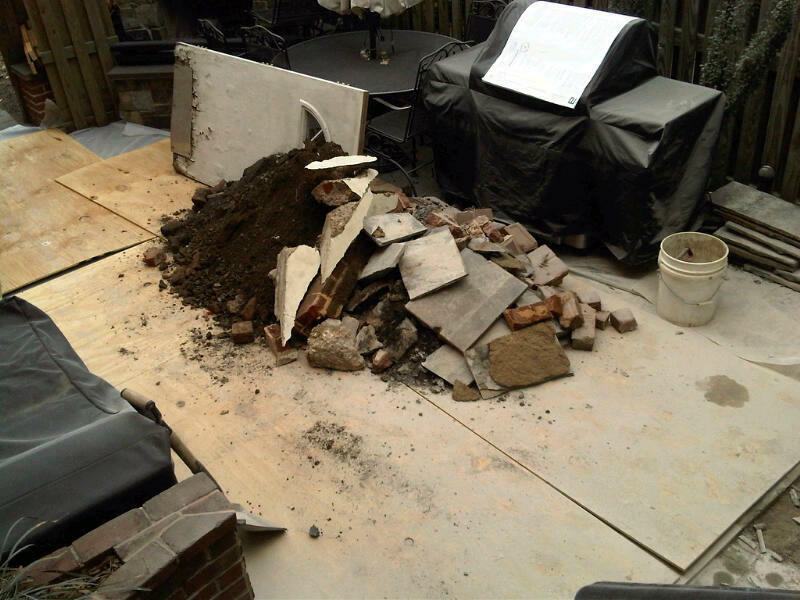 That’s all that’s holding up the left side of the house, and that’s gettin’ booted out on Day 3 – stay tuned.